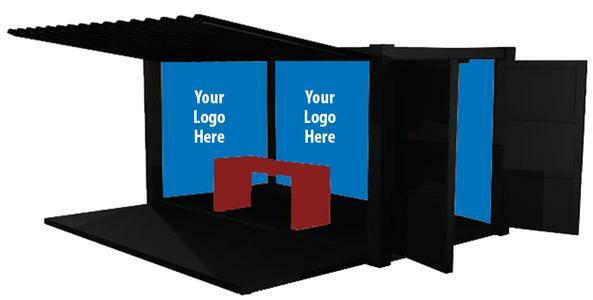 Shipping containers are opening up new ways to spread your message, promote your brand, and sell your product. Catch people's eye with a one-of-a-kind setup, and have fun showing off your brand, all the while feeling good that you are using something so awesomely repurposed. Containers are a great alternative to renting tents or other structures for company events, especially when it comes to mobility. At Containers UP, no idea is too far out there. Want to create a custom VIP experience, or install a pizza oven? No problem! From a tiki bar, to a country club theme, sports bar, or a man cave, anything is possible. Whether you're looking to design a container you own, or rent a container for a weekend, we can make it happen.